Where Boston runs on Dunkin Doughnuts, the coast of Maine runs on lobster; pronounced "lob'stah". 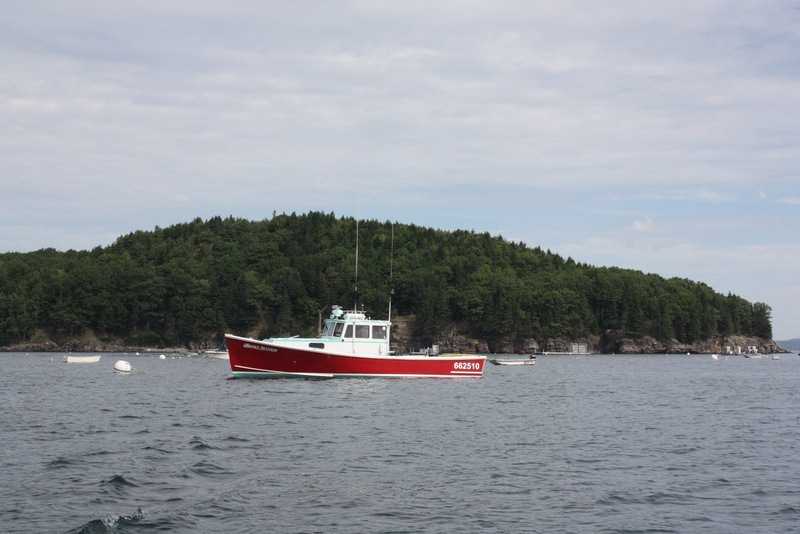 From the tens of thousands of lobster pots along the coast, the work boats in the coves and harbors and of course the ubiquitous restaurants that serve the tasty crustaceans you cannot miss the importance that this seafood has here. 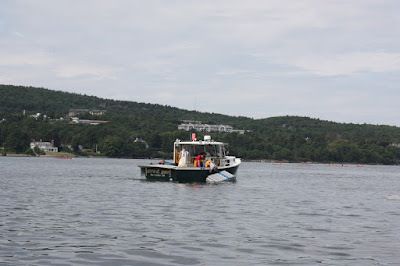 Space on a lobster work boat is scarce so storage may have to be back into the water. 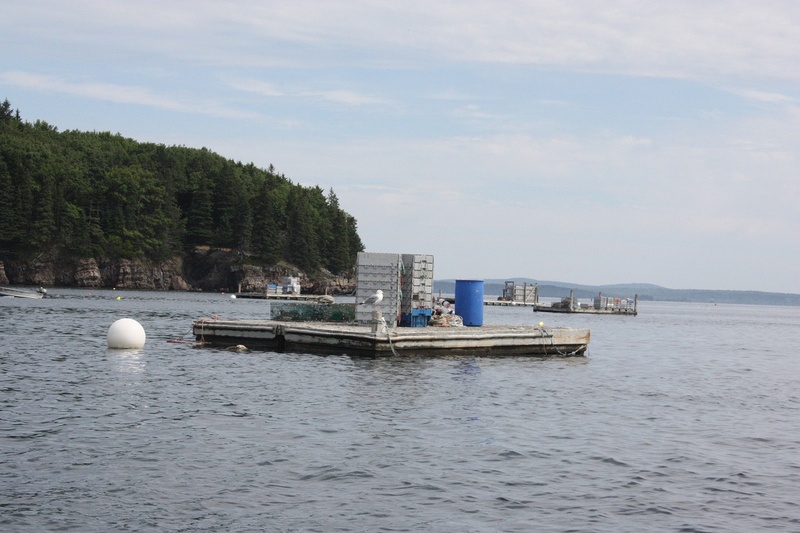 The traps are pulled up and the catch is put into a plastic container then the trap is re-baited and put back in the bay. The plastic container is taken to the next trap and so forth. Lobster fishermen will use these little barges to place their containers and traps so they don't have to go all the way back to the docks while they work. 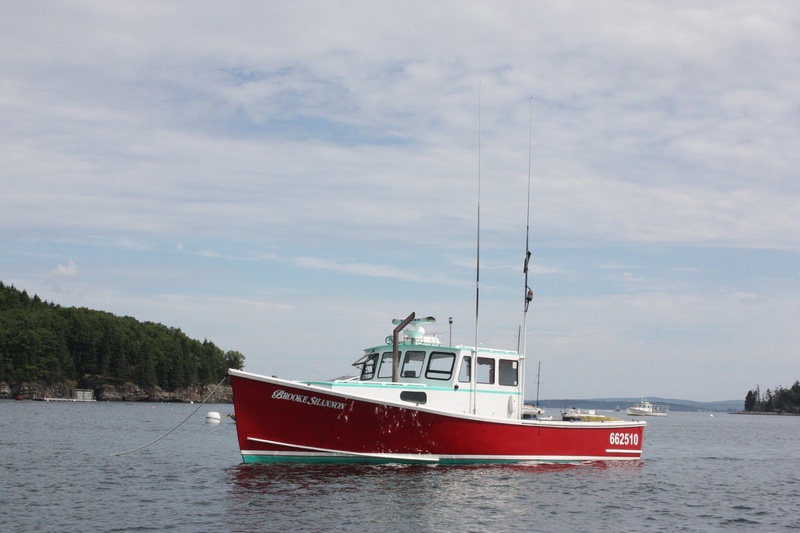 This is a good size lobster work boat. Many are not this big. 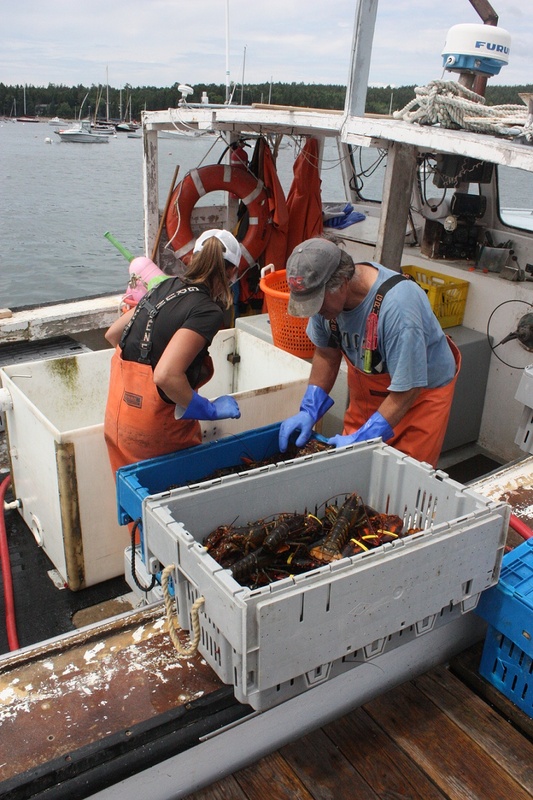 A father and daughter lobster team bring their catch to the dock which will then go directly to local restaurants or a seafood market. They said that this was an "OK" catch, "nothing special". 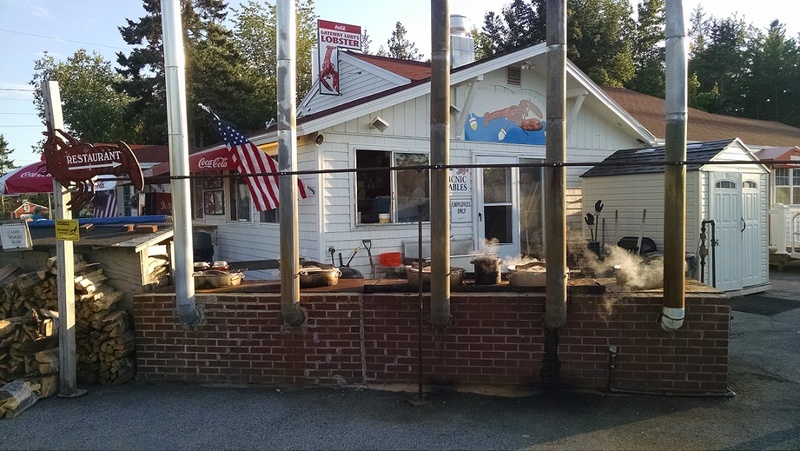 This is a typical lobster restaurant near Bar Harbor. Actually they are not called restaurants but lobster pounds. I am not sure where that label came from but it might be that they sell the lobster by the pound. There is nothing fancy about these places. 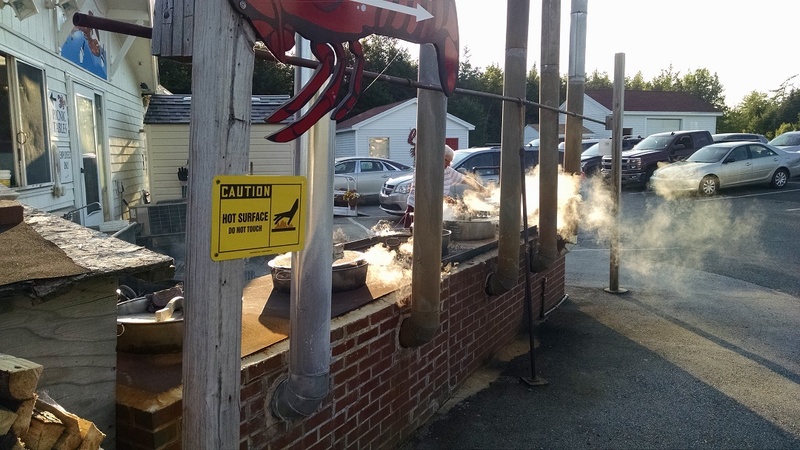 People come here to eat lobster and that's pretty much it. These are serious lobster eaters! 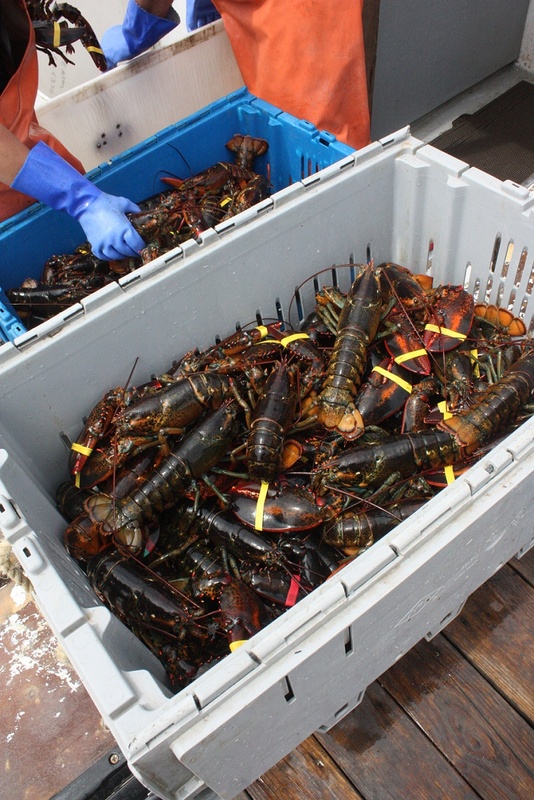 The lobsters are selected by the customer, put into a net like bag and taken out to the steamers which are outside. This pound has a five stacker - a wood fired sea water steamers with 5 smoke stacks. We saw some with six stacks. They fire up these boilers in late afternoon and keep them going throughout the evening. It looks like a fast food restaurant with people standing in line to place their orders. 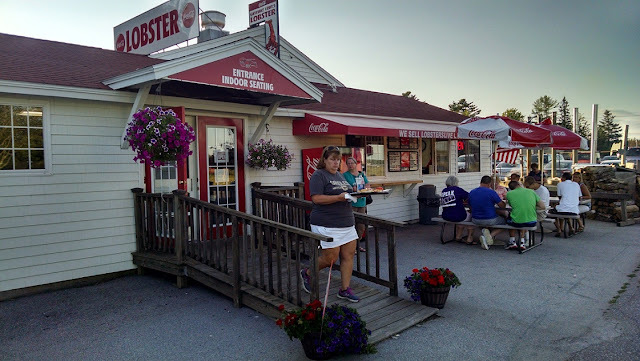 Many people even get their lobsters "to-go". Of course the money you pay is not McDonald's prices. 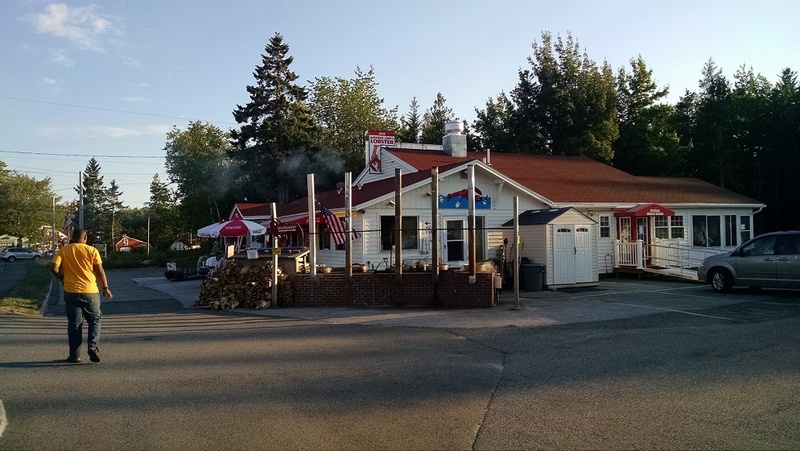 A lobster meal for two will run you $40.00 or more. And, yes, you can buy lobster at McDonald's. They sell lobster rolls - lobster Mac-sandwich. In my humble opinion, they are not as good as the lobster rolls you can buy at the pounds.